PCI SSC Participating Organizations, one of the best ways for you to ensure your issues and perspectives are heard is through your representatives on the Board of Advisors. The Board provides PCI SSC leadership with critical visibility and insights into the payment security challenges and opportunities you are facing. We rely on this input to develop data security standards and programs that help businesses globally detect, mitigate and prevent cyberattacks and breaches. Every two years we ask Participating Organizations to nominate candidates and then vote to elect those you believe will best represent the interests of your organization, industry sector or region. It is that time again. 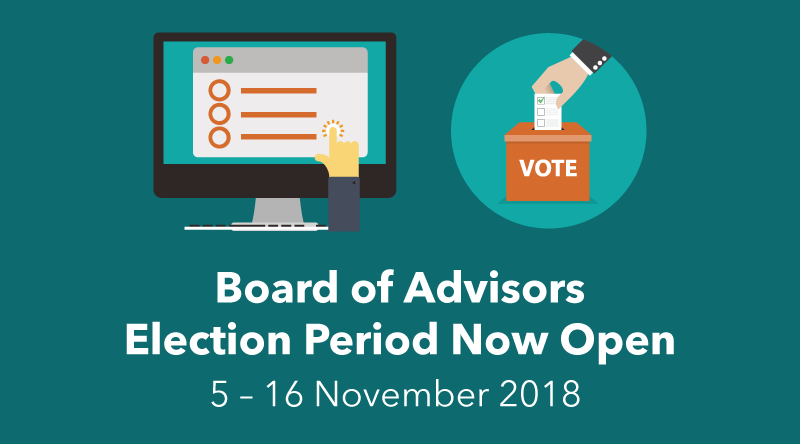 Don’t miss this opportunity to influence the future of payment security standards - make your voice heard by electing your representative to the 2019-2020 PCI SSC Board of Advisors, today. Thank you for your ongoing involvement in the work we are doing together to help secure payment data.